She's raising awareness for a VERY important cause. 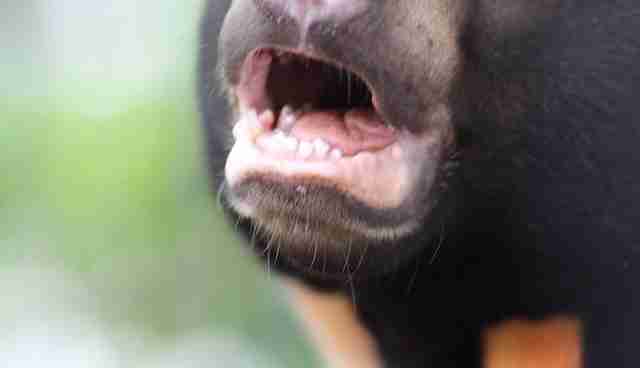 A small sun bear cub was left all alone in northern Cambodia after her mother was killed while trying to protect her. 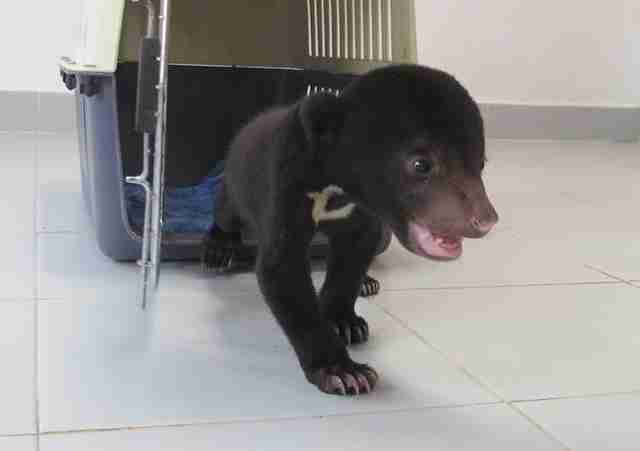 The tiny orphaned cub was soon rescued by Free The Bears, a nonprofit organization dedicated to protecting bears throughout the world. She was taken to its sanctuary in Cambodia when she was just a baby and given the number "193." 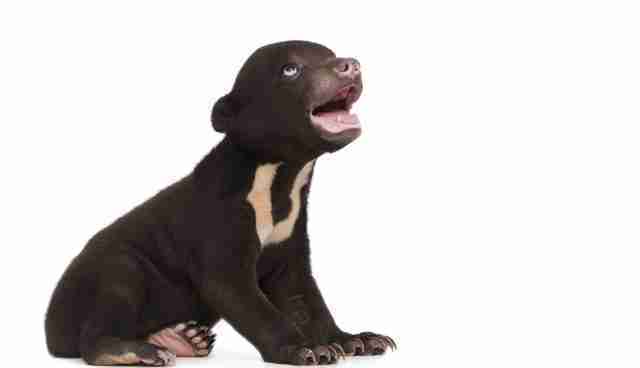 The story of 193 is a fate that befalls many sun bears - the cubs are highly sought after in the illegal wildlife trade. 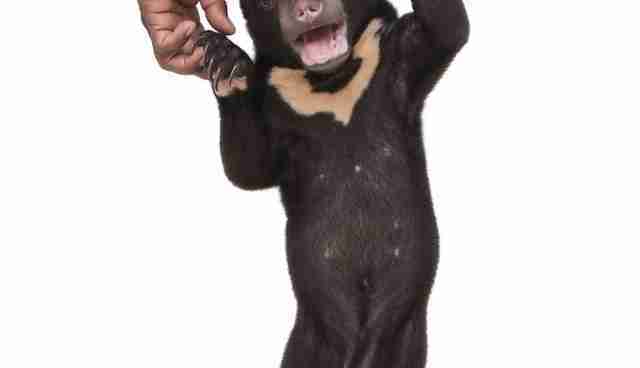 Sun bears are often stolen from the wild and sold as pets or or trafficked for use in traditional medicine. 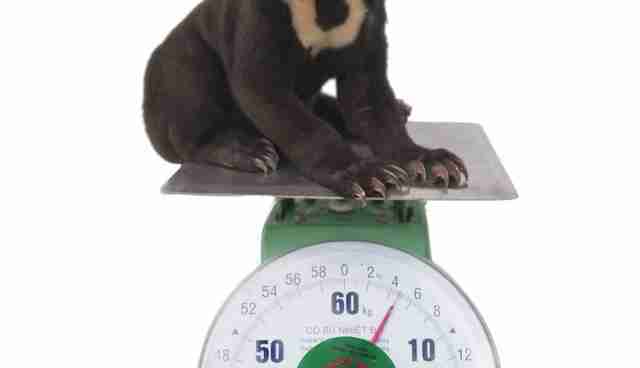 When she first arrived at Free The Bears, 193 was the smallest bear there, weighing just 9.9 pounds. 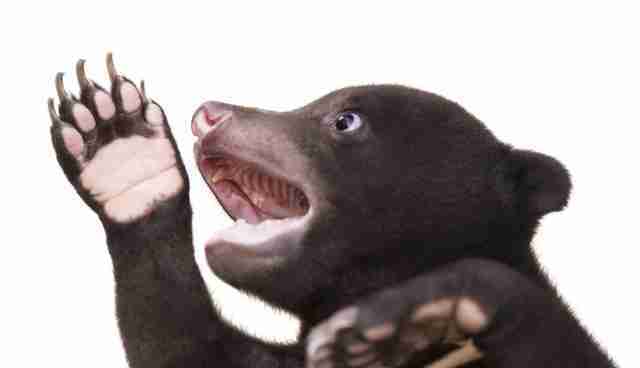 Eventually, the littlest bear was given a name perfectly befitting her fearless and feisty spirit: Arya Stark. 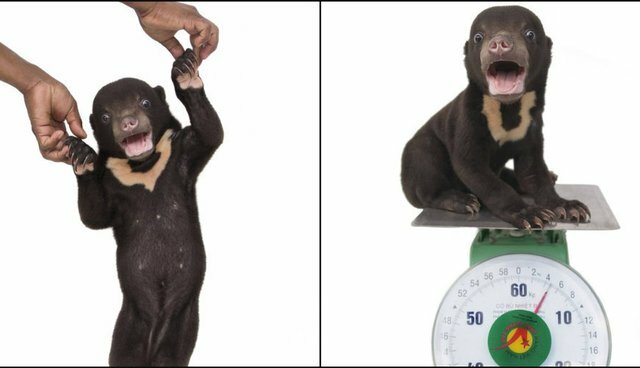 After arriving at the sanctuary, Arya got to meet photographer Alex Cearns, who has been visiting different Free The Bears sanctuaries across Southeast Asia for years to document rescued bears. 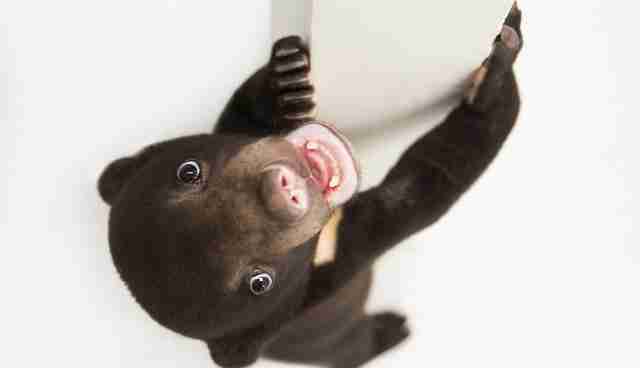 Cearns fell in love with the little 4-month-old bear, and decided she would be the perfect subject for a photo shoot. 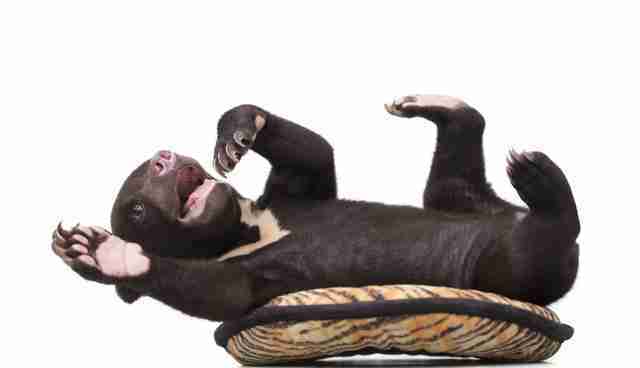 ... and basically being a cub. ... and even did a little goofing off, too. Arya now gets to grow up safe and happy at the sanctuary, and will never have cause to lose her smile again. 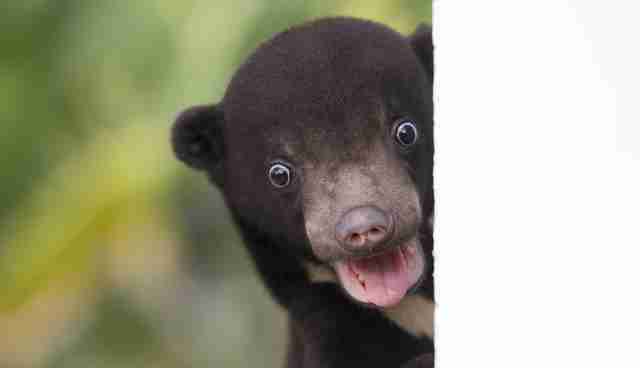 You can help sun bears like Arya Stark by donating to Free The Bears. You can check out more of Alex Cearns photography on her website.